The increasing nature of complexity of today’s systems and systems-of-systems make it increasingly difficult for systems engineers and program managers to ensure their product satisfies the customer. As an example, in this year alone, General Motors has recalled more vehicles in the US than it made in 2009 to 2013 – and it is only May! 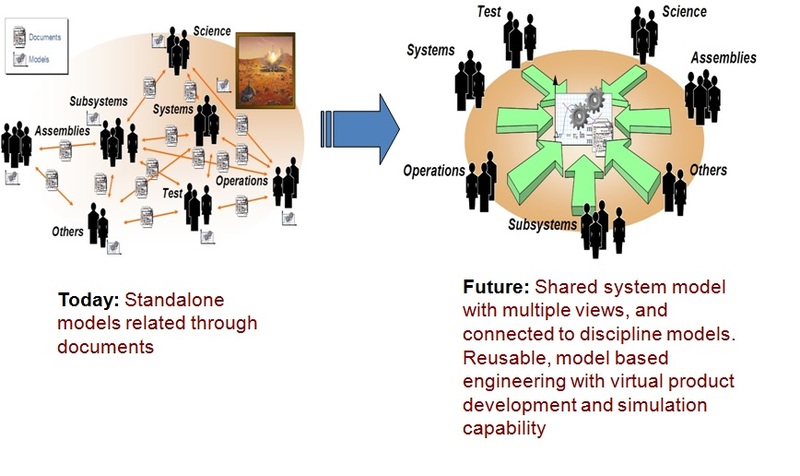 Over the past 5-10 years, a formal discipline of Model Based Systems Engineering (MBSE) has been developed by the Systems Engineering community to catch up with rigorous model tools available to the other domains, such as CAD/FEA for mechanical engineering, or VMGSim/Hysys for chemical engineering, or C++ code generators for software development. While models have always been a part of the document-centric systems engineering process, they are typically limited in scope or duration, and not integrated into a coherent model of the entire system. There are several MBSE tools available, Rhapsody (IBM), MagicDraw (No Magic), and Enterprise Architect (Sparx). These tools have been successfully been used by companies like Ford, Boeing, or Lockheed Martin, and they continue to improve. MBSE is still relatively early in development as compared to other domain tools, like CAD, FEA, or PLM (Product Lifecycle Management), but is now at a stage that it can have an immediate impact on the developing system. There are many connecting tools to PLM tools or Requirements Management tools like Rational DOORS or other disciplines. I have found it really tough (and to a certain degree impractical) using the document-centric systems engineering approach to keep all the various design documents and models up to date and consistent with each other. 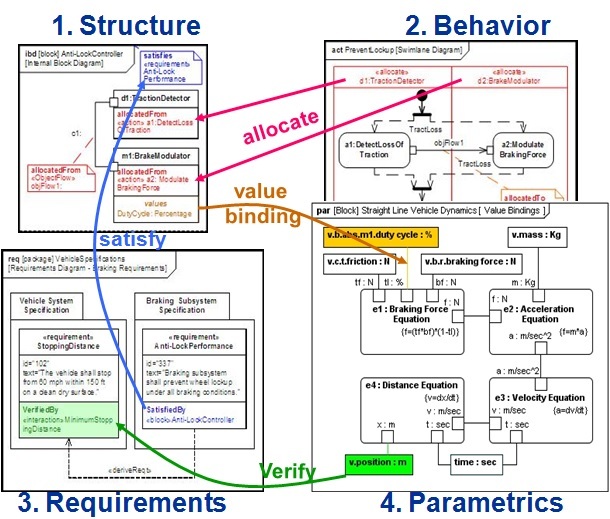 I’ve been using MBSE tools from both NoMagic and Sparx, and they are both pretty good at capturing all the necessary systems engineering information in one model. There aren’t many good tutorials and examples available to the public domain, but still enough to learn from. I have been able to steadily and productively apply MBSE to my system design and analysis work. I highly recommend any organization that is doing complex product development to consider MBSE. It is the future for fast and high quality product development. This entry was posted in Product Engineering, Systems Engineering by Craig Louie. Bookmark the permalink.